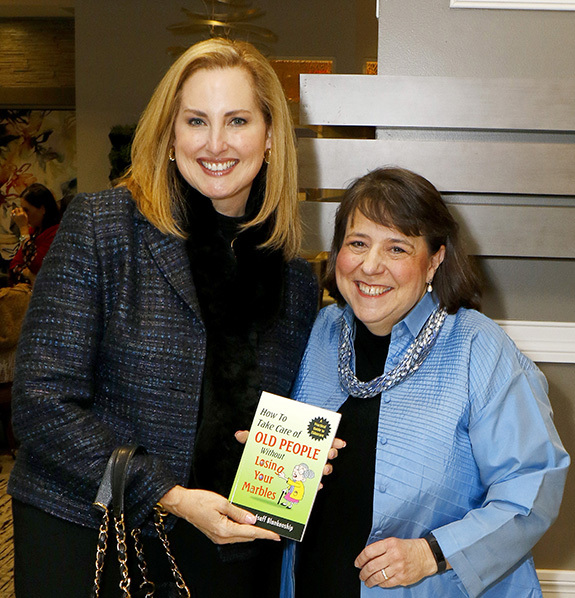 HarborChase of the Park Cities hosted a beautiful and luscious formal tea honoring members of AWARE for a very special presentation by award-winning author Suzanne Asaff Blankenship who spoke about her book How To Take Care of Old People Without Losing Your Marbles. Ke’o Velasquez, HarborChase’s Director of Hospitality, filled the dining room with centerpieces of tall silver formal tea servers full of delicious treats and tea place settings in lovely floral china along with champagne for all. Tea chair Venise Stuart introduced Suzanne, saying she learned about eldercare the hard way, by doing it. As Suzanne’s mother aged, she found herself more and more involved in her mother’s eldercare and soon, her in-laws’ as well. At every juncture of her mother’s and her in-laws’ eldercare journey, Suzanne has had to research, investigate and learn the best way to tackle each new topic. Suzanne said it was good to be home! She was raised in the Park Cities and is a graduate of Highland Park High School. She now calls Colorado home and travels back to Dallas frequently for television appearances, book signings and to visit family and friends. 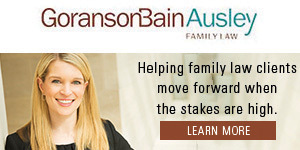 She believes in advocacy, the importance of family, and the need for balance in life. Humor is her favorite resource. 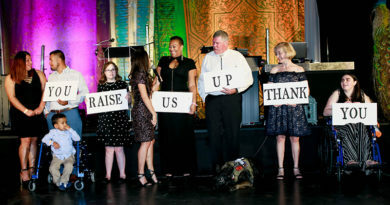 AWARE president Sharon Ballew welcomed the crowd and reminded everyone of the upcoming AWARE Affair Celebrate the Moments Blooms of Hope gala happening on April 5, chaired by Ginny Bond Fein and Sarah B. Smith. AWARE is dedicated to fighting Alzheimer’s disease, and its mission is to provide funding and support to nonprofit organizations that are working on the front lines to fight this disease in Dallas and the North Texas region.